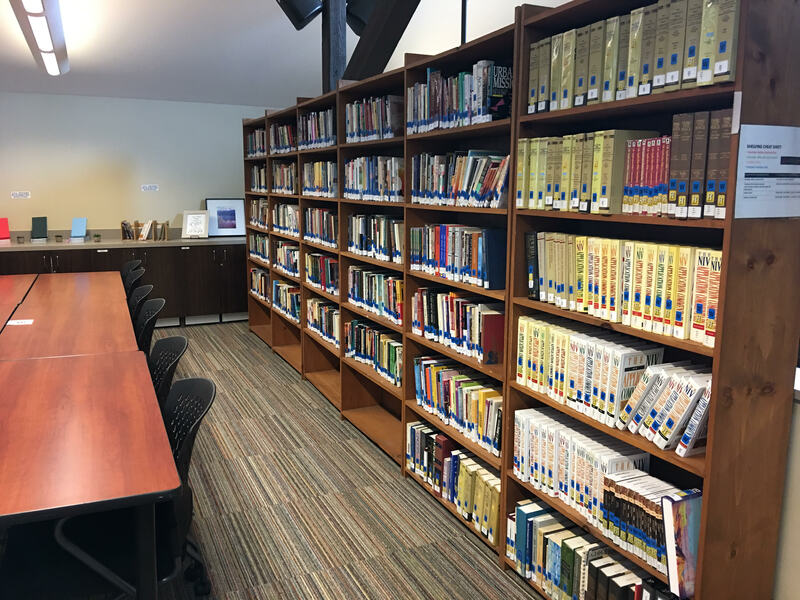 Folks on the west side no longer have to travel to Main Campus or 4th Street in order to enjoy shared library resources like you find at the Xenos Study Center. 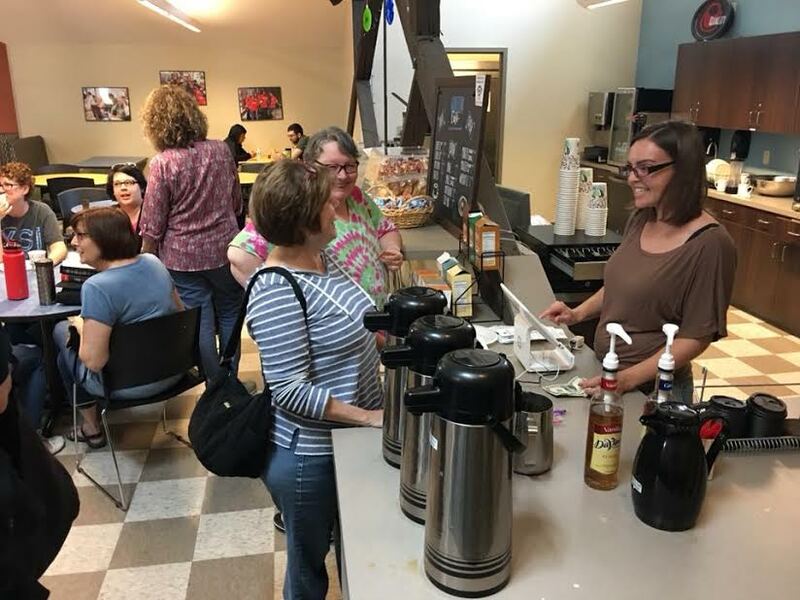 The new Grounds Café and Library is now open in the City Life Center in Franklinton, offering not only study materials but also a warm place to meet with friends. Brittany Falkowski helped get Grounds started. She says she and other volunteers created and worked from a mission statement: "To create an inviting space for West-siders to enjoy fellowship, cultivate discipleship and encourage personal study into God's Word." To that end, the library offers over a thousand books and reference materials that you can use there, or check out for use at home. It also has space for quiet study alone and an area where groups can meet to study together. At the café you can enjoy fresh coffee, other beverages, and snacks, and there are comfortable booths for conversations with friends. There’s also game tables for ping pong, billiards, and air hockey. Brittany says, since it opened this spring, over 300 visitors have stopped by, checking out over 100 books. She says people are really enjoying the space, and have been using it to get together before Central Teaching, to share discipleship time, and to study. And a lot of people are just enjoying time there with friends. If you’d like to see for yourself, the Grounds Café and Library is open Sunday mornings and afternoons and Wednesday evenings. It’s located on the 4th floor of the City Life Center (40 Chicago Ave., 43222).